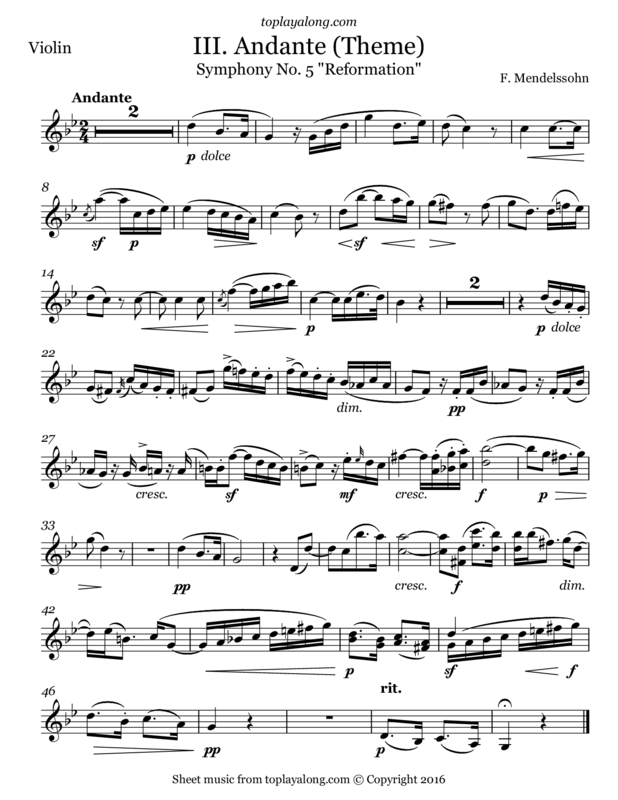 Third movement (Andante) from the Symphony No. 5 in D major/D minor, Op. 107, known as the Reformation. It was composed by Felix Mendelssohn in 1830 in honor of the 300th anniversary of the Presentation of the Augsburg Confession. The Confession is a key document of Lutheranism and its Presentation to Emperor Charles V in June 1530 was a momentous event of the Protestant Reformation. This symphony was written for a full orchestra, here reduced to violin and piano. It was not published until 1868, 21 years after the composer's death – hence its numbering as '5'.